What caused the 2008 economic crisis? In an article published earlier this year, political economist Sam Gindin explained it “primarily as a financial crisis.” Writing for New Left Project , Andrew Kliman rejected this analysis, arguing that, had the crisis really been mainly financial, the economy would have recovered by now. Here, Gindin responds to Kliman’s critique. 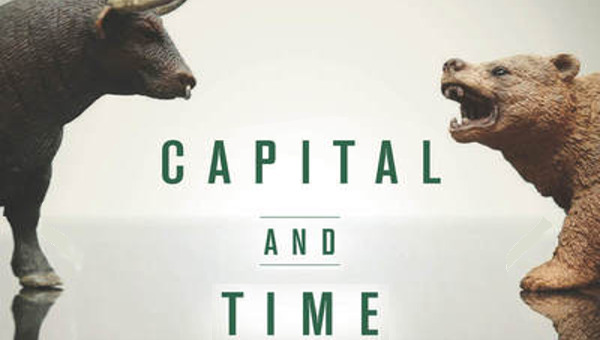 There could not be a sharper analytical difference between Andrew Kliman and I on how we understand the trajectory of U.S. capital and U.S. labour over the quarter century leading to the Great Financial Crisis. He sees it as a period of “secular stagnation” – i.e. protracted low growth – while I argue, along with my co-author Leo Panitch, that it has been one of the most dynamic eras for capital in American history. He views the alleged stagnation of that period as rooted in a profitability crisis that was temporarily masked by a credit bubble, which allowed the U.S. economy to limp on until it burst. We argue that corporate profits have in general not been squeezed and that the role of finance in creating the conditions for the crisis went far beyond advancing credit. He sees labour as largely holding its own over this period; we understand labour as having suffered a most profound defeat. For Kliman, the crisis of the 1970s never ended. As a crisis of overaccumulation (i.e. overcapacity), it could only have been overcome by the destruction of a significant proportion of the economy’s capital stock (its factories, offices and equipment) – that is, by a deeper and longer recession. This was, he argues, avoided by state policies, low interest rates in particular, that only postponed the day of reckoning. We in contrast argue that the crisis of the 1970s was successfully resolved and that the present crisis reflects a new set of contradictions embedded in a fundamentally different context. The crisis of the 70s was rooted in a strong working-class, the present crisis has emerged in the context of a weak working-class; the crisis of the 70s had to deal with inflation and a threat to the dollar, while inflation was non-existent in the recent crisis and the dollar became stronger; and in the 70s, global finance in anywhere near its present form was only a gleam in someone’s eye. It is difficult not to see Kliman’s argument for continuing stagnation since the 1970s as narrowly technical. The dynamism of American capitalism in the quarter century after 1982 is most clearly evidenced not in graphs – not that graphs are unimportant – but in broader terms: the dramatic restructuring of the American and global economies, and the expansion of capitalist social relations and institutions. There were of course contradictions in this process but we must not underestimate the profound impact these changes wrought on capitalist strength and working-class weakness. For Kliman, the current crisis “is rooted in the fact that capital was not destroyed to a sufficient degree during the global economic slump of the mid-1970s.” It is of course always possible to argue that the destruction wasn’t deep enough. But the fact is, as workers can testify, the pervasive devaluation of capital since the early 1980s was a primary characteristic of this period. The number of plant closings accelerated, plants moved from urban to rural areas and from the mid-west to the American south, and moved abroad. But beyond closings, capital was restructuring: workplaces were transformed; new technologies applied; supply chains took on new dimensions through outsourcing at home and the formation of global networks of production; there were considerably more mergers; and some sectors virtually disappeared while entirely new sectors emerged. So how was this manifested in corporate profits? Was there, as Kliman maintains, a protracted crisis of profitability after the 70s? A straightforward plotting of the official statistics on after-tax corporate profits as a share of GDP is very clear (see graph 1). 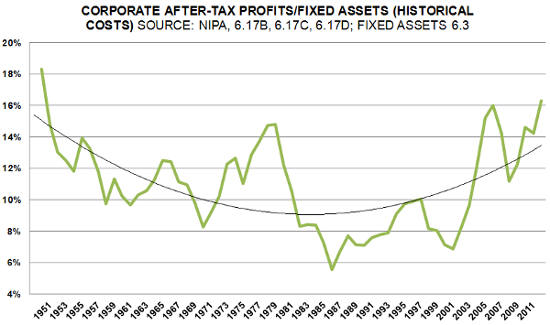 It shows that the downward slide in profit share ended with the recession of the early 1980s, then trended upwards. By 2005-07 it surpassed the peak in the mid-1960s (again, itself not a standard but a special moment) and the share of profits in GDP now stands at the highest level in post-war history. Kliman cannot reverse the weight of evidence stacked against him. The annual data provided by the U.S. Department of Commerce show a clear upward trend in both the profit shares and the profit rates of non-financial corporations. 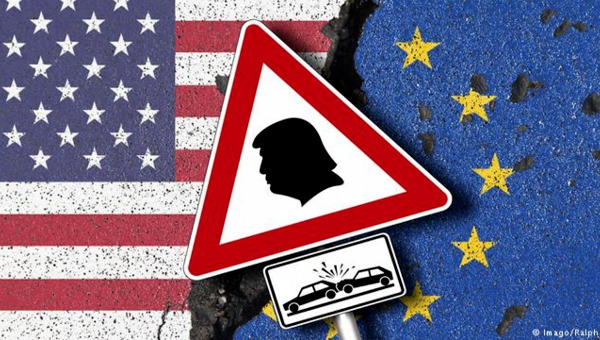 The centrist economists Kliman repeatedly quotes on the risk of ‘secular stagnation’ – Lawrence Summers, Paul Krugman, Martin Wolf – do not point to a lack of profits, but lament the lack of investment from the obviously high profits. Other Marxists who share Kliman’s falling-rate-of-profit thesis, like Anwar Shaikh and Michael Roberts, have nevertheless acknowledged the upturn. The business press takes it as self-evident that there was a profit recovery. And so too do the corporations themselves, using it to justify higher salaries to executives (which essentially also hides higher profits as a compensation cost). The answer is: they were. While conventional measures of the share of GDP going to non-residential investment have clearly fallen since the early 80s, this downward trend in the investment-GDP ratio reflects a price illusion. When the price index of GDP and that of investment goods are roughly in line – as they were before the 1980s – the ratio of investment-GDP will be roughly the same whether measured in nominal or real (i.e. 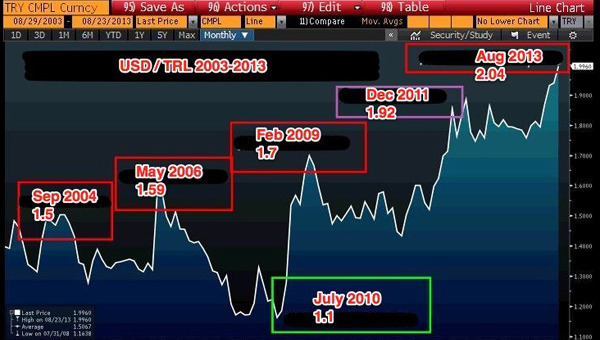 after inflation) terms. But since the early 1980s they diverged and so this must be taken into account. From 1982-2007, the price index for GDP rose by 89 per cent while it rose only 22 per cent for non-residential investment, primarily because equipment was rising as a share of investment and prices for equipment actually fell through these years. Adjusted for prices, the apparent slower growth in investment relative to GDP is reversed: real non-residential investment increased by a respectable 4.7 per cent per year between 1982-2007, as against 3.6 per cent for GDP. And in the four years before the crisis (2004-2007) real non-residential investment increased at an annual average rate of 6.3 per cent. Kliman and others are nevertheless right to raise concerns about more recent trends. After the 2001 recession, investment lagged in real as well as nominal terms. Whether this was a matter of running down the extra capacity put in place in the earlier boom, using profits to pay off debt, concentrating on mergers, or something more fundamental is not clear. Moreover, the solid growth in investment that occurred in 2004-07 was from a very low base and, because of the interruption of the financial collapse, we don’t know whether or not it represented the beginning of a new uptick. It is also true that investment growth still lagged behind the increases in profits and this remains true even with the official end of the recent crisis. It is too early to decisively determine whether the structural shift in the economy toward services and the impact of computers on factory size imply relatively lower investment needs for the same impact or if there is an exhaustion of breakthrough opportunities. (My own tentative view is that as uncertainty fades, prospects for profits and the drive of competition will lead corporations to again invest their hoards of cash at more traditional levels). Without finance and its role as a hedge against fluctuating exchange rates and other uncertainties, globalization could not have reached the levels it has. And finance, because of the ease of its mobility in and out of particular sites of production, has been fundamental to enforcing greater discipline in workplaces, reallocating capital to activities with higher rates of return, facilitating restructuring through mergers, and supporting venture capitalists. With high profits leaving corporations well-positioned to fund their own investment, finance has developed new services for business and vastly expanded its relationships to workers (above all in regards to mortgages and pensions), further integrating workers into the workings of capitalism. Finally, finance has been fundamental to bringing global savings at low interest rates to the U.S., thereby contributing to domestic investment in the mid- to late-90s and supporting household consumption and mortgages in the subsequent years. Finance has therefore been both critical to the ‘real’ economy and taken on a life of its own – with its own contradictions. Competition pushed financial firms to seek higher returns by extending the boundaries of risk (households were more vulnerable because of their restrained income and sub-prime mortgages were extended to poorer households) and increasing the leverage of their assets, dramatically exacerbating the inherent volatility of finance. In the past, the bursting of a housing bubble would have meant a significant recession. Now, however, the greater complexity and interconnection wrought by finance brought on the deepest economic crisis since the Great Depression. Kliman counters that finance could not have been the cause of the crisis because even after finance was repaired, the crisis continued. In spite of substantive federal stimulus, he argues, growth and investment remain sluggish, suggesting that the cause of our economic malaise was more fundamental than a mere crisis in finance. This, however, confuses the causes of a crisis with the circumstances of exiting them. Once the crisis hits, a different set of factors come into play – for example, excess capacity and under consumption become very relevant factors in overcoming a crisis, even if they did not precipitate it. This was an especially traumatic crisis, and it understandably left consumers and investors hesitant to spend. 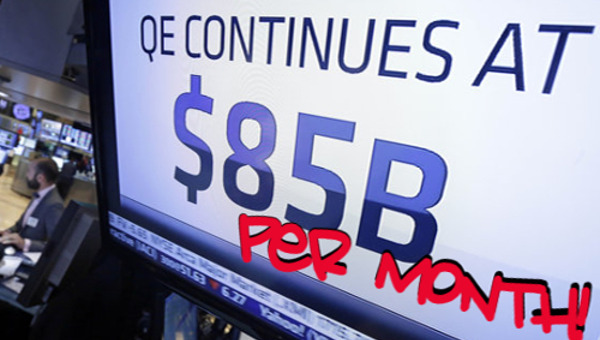 The level of government stimulus required to overcome this would have had to be exceptionally high, but the structural power of the banks, who were nervous about inflation and have a built-in bias toward austerity, moderated the stimulus attempted. In any case, the federal stimulus was significantly offset by cutbacks at state and local levels – the net two year stimulus was therefore about one third of the $780-billion in the American Recovery and Reinvestment Act. To repeat a point made in my earlier article, it cannot be assumed that all capitalist crises must inevitably follow the pattern of an accumulation crisis. Structural crises are historical events. Each crisis restructures institutions and rebalances class forces, setting new conditions for future crises. The crisis this time was not caused by a profit squeeze or by a generalized condition of excess capacity. The development of finance – not separate from the non-financial sector but linked, as we’ve emphasized, to developments within capitalism as a whole – created the foundation for a new kind of crisis: an explicitly financial crisis. The most controversial aspect of Kliman’s argument is that from the 1970s, contrary to virtually all perceptions, “working people as a whole, including the poor, were able to buy a bigger share of the output than before” and that until the late 90s, this did not especially depend on credit. Elements of this argument are valid. Though consumption exceeded personal income through much of this period it did not seem to have been because of any special increase in credit, but rather by the eating up of personal savings (the personal savings rate fell from over 11 per cent in the early 80s to 3 per cent in 2007). The explosion in credit, primarily in mortgages, and the explosion in borrowing on mortgage assets, did not emerge until the late 90s. As for the rise in personal income at the macro level, this was primarily due to (as Kliman notes) the increased participation of women in the workforce (though overtime and multiple job holding of men increased as well). But the story of how workers were doing hardly ends there. Unionization rates fell as unions failed to penetrate the most rapidly growing sectors of the workforce. Worker concessions were rampant in working conditions as well as wages. Neoliberalism demoralized workers, increasingly individualized the working-class, and successfully lowered worker expectations. Kliman points out that hourly compensation (i.e. wages plus benefits) rose significantly over this period, but between 1982 and 2007, the cumulative increase in hourly compensation in the non-farm business sector (35 per cent) totalled less than half that of productivity (75 per cent). As for the increase in household income that Kliman identifies, this was based not so much on higher pay as on increased hours of paid work per family and thus represented an increase in working-class exploitation. Moreover, ‘household income’ is an aggregate measure that includes households of quite different kinds. Between 1982 and 2007, according to the U.S. census, while the bottom 80 per cent of households saw their real income increase by 24 per cent (i.e. less than 1 per cent per year), the top 5 per cent of households – generally not of the working-class – saw an increase of 86 per cent. Put differently, of the total increase in household income over this period, the top 10 per cent got more than the bottom 80 per cent; trends in overall household income thus give a misleading read of the fate of the working-class over this period. The U.S. economy seems to be emerging from the latest crisis, albeit hesitatingly and with remaining fragility. A solid recovery would require a much greater and more consistent investment in infrastructure. This is unlikely to materialize so long as there is no organized working-class threatening instability if governments don’t move to radically greater economic stimulus. By understating the extent of working-class defeat, on the one hand, and the continued resilience of American capitalism, on the other, Kliman dangerously misleads on how difficult the political project of challenging American capital will be. It will not do to point to sporadic struggles as signs of hope. These are of course encouraging but they do not begin to approach the scale of the problem the working-class confronts. Nor will it do to point to polls showing support for socialism, as Kliman has done. In American discourse, ‘socialism’ means support for greater state intervention and whatever openings this implies for challenging neoliberalism, it hardly reflects an imminent challenge to capitalism either ideologically or politically. Nor, finally, will it do to explain the limited scale of popular resistance in terms of the flaws of the labour bureaucracy. 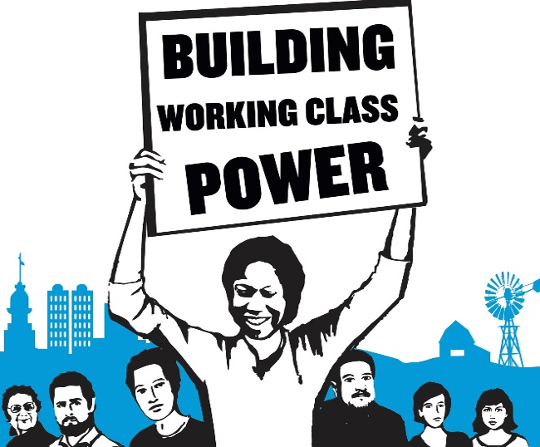 Sure, union officials should be criticized for betraying the responsibilities they were appointed to carry out, but we need to take very seriously the demonstrated ineffectiveness of challenges to union bureaucracy from below – all the more so when we believe that this same working-class has the potential to shoulder the infinitely greater challenge of taking on capitalism. Kliman’s critique, published on New Left Project , is directed against my short response to Michal Rozworski. For a more developed discussion of these issues see Leo Panitch and Sam Gindin, The Making of Global Capitalism: The Political Economy of American Empire (New York: Verso, 2012). Andrew Kliman, “‘The Destruction of Capital’ and the Current Economic Crisis,” Socialism and Democracy 23.2 (July 2009), p. 47. Kliman has noted that the rates of growth per capita in the global economy were almost half in the period 1974-2003 compared to the period 1950-1973 (“The Destruction,” pp. 49-50). There are two problems here. First, 1950-73 was a period of unique global growth and is therefore not a good benchmark for comparison; that global growth slowed down from this golden age is not an indicator of ‘secular stagnation.’ Second, capitalist development is a process. It was only over time that the deepening of global capitalism since the early 1980s led to faster global growth: from the mid-90s through 2007 per capita global growth was almost as high as in 1950-73 (2.7% vs. 2.9%) and between the millennium and the crisis (2000-2007) average global growth, at 3.1 per cent, has actually exceeded Kliman’s base years. The data on global growth – Kliman’s as well as mine – are based on Angus Maddison’s most recent historical tables. See Kliman, “The Destruction of Capital,” p. 51, Figure 2. 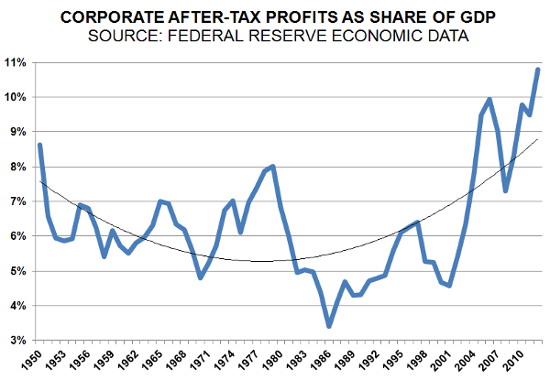 Where Kliman acknowledges this, he declares it “unsustainable,” though as the current corporate performance suggest, profits have on the contrary been remarkably ‘sustainable.’ Note that if the graph was reconstructed to include before-tax profits, the recent period would be flatter, though the upturn would remain. And if the graph was based on the current cost of capital preferred by most analysts, not the ‘historical costs’ Kliman prefers, the upturn would be slightly more pronounced. (Current cost is favoured because it captures the actual cost of replacing depreciating capital). “Returns for Domestic Financial Business,” Survey of Current Business (June 2013), Chart 1. Anwar Shaikh, “The First Great Depression of the 21st Century,” in Leo Panitch, Greg Albo and Vivek Chibber, eds., Socialist Register 2011: The Crisis This Time (London: Merlin, 2010); Michael Roberts, “Measuring the U.S. rate of profit: up or down?” (November 2011). Net investment – investment after depreciation – is now exceptionally low and what needs clarification in this case is the extent to which this reflects misleading measures of depreciation and underestimates the actual technological gains of just ‘replacing’ existing technology. In an interview, Kliman speculates on whether finance will itself undermine the American economy: “You have to wonder whether we are going to reach the point that the financial markets are going to say that they no longer have confidence in the U.S. government.” This in particular misunderstands the relationship between finance and the American state. As the crisis sharpened, finance looked even more to the protection of the U.S. state. The increase in benefits was significant but it, too, must be qualified. For example, if a union negotiated no increases in benefits but the costs rose – as they very much did for health care, in particular – this shows up as an increase in compensation to workers at the expense of profits. But something more is happening: while the worker is indeed protected against inflation, the insurance companies see their profits increase. The shift in distribution is not just from the company to workers but also from the company to the insurance sector and so total business profits are not as damaged by rising compensation as it at first seems. U.S. Census, Historical Income Tables, Table F-3.